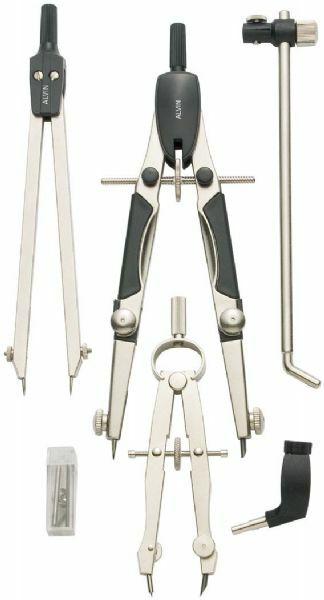 Set contains a 6½" compass a 4¾" pencil bow in a hoop spring tension design a 6" divider beam bar pen adapter and spare parts tube. * Packaged in hard see-through plastic case. 8.5" x 4.25" x 1"